The future of making things will depend as much on smart logistics – supply and delivery – as on the smart technology in the factory. Factory technology has been developed to save companies money and resources, enable more flexible manufacturing, increase speed and offer product variation. But there seems little point in making products more intelligently to save money if the delivery process is flawed, losing money down the value chain. 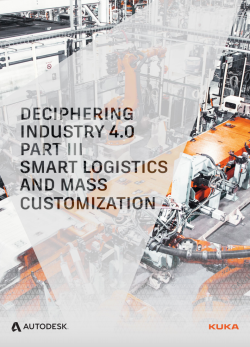 Smart logistics can be seen in two broad ways: 1) the intelligent hardware that delivers material within a factory and 2) connecting customer and factory data to the tools of logistics to make them more efficient, especially in areas such as predictive maintenance. Mass customisation is about clever manufacturing technology but is also about where and how the personalisation is applied. 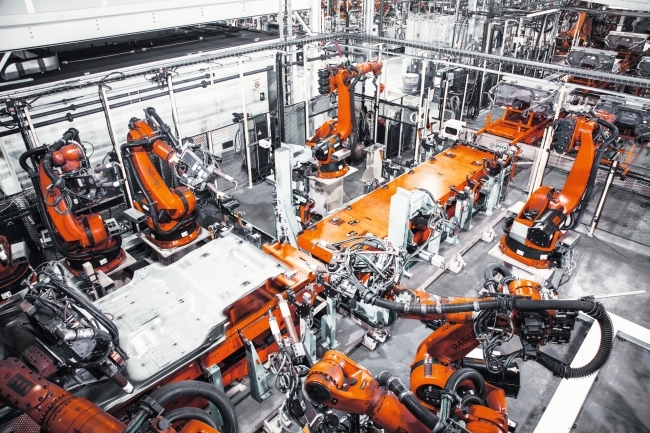 Autodesk and KUKA Robotics UK have combined to explain how some of the new digital technologies will transform manufacturing – including intelligent factory delivery, automated guided vehicles & collaborative robots, connecting existing manufacturing data, smart design & manufacturing systems, generative design and customising products.